Ever Wonder Why There is a Picture of William Faulkner’s Tombstone in The Southerner Bar? 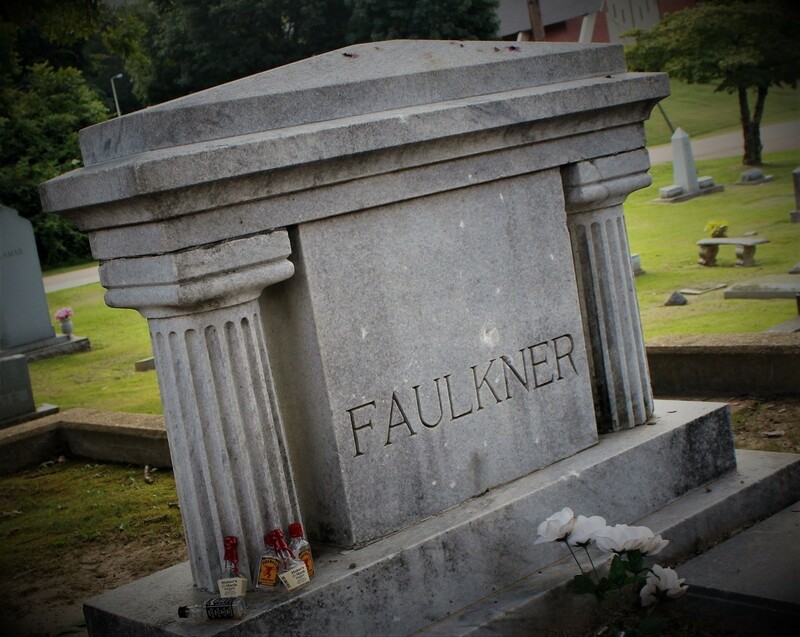 Besides the fact that Faulker was a great southern treasure and he is buried in the amazingly quaint southern town of Oxford MS, the Faulkner tombstone represents one of our ties to the South and southern tradition. As a child growing up I was born and bred an Ole Miss Rebel fan and we were thrilled when our oldest daughter, Madison, decided to go to Ole Miss for college. We loved reconnecting with family we had not spent a lot of time with in recent years and being introduced to new traditions that we had never heard of like the “10 things that you must do before graduating from Ole Miss”. The list may vary from site to site but most include climbing the giant Phi Mu fountain on campus and taking a picture, sneaking on the Vaught Hemmingway football field, going to a field party, eating chicken on a stick, and “doing a shot of whiskey” on Faulkner’s grave. After graduation, on the night my husband was in Oxford moving Madison to her new home in Nashville TN (yay she graduated and got a real job! ), she and her dad were talking about her college experiences and she lamented that she had never done a shot on Faulkner’s grave. Well she couldn’t leave Oxford without finishing all “the list” so she and her daddy headed out flashlights and flasks in hand to find Faulkner’s grave and toast him somewhere around midnight of her final night in town! Cheers Mr. Faulkner! At The Southerner, there are no strangers... just friends we have not met yet.